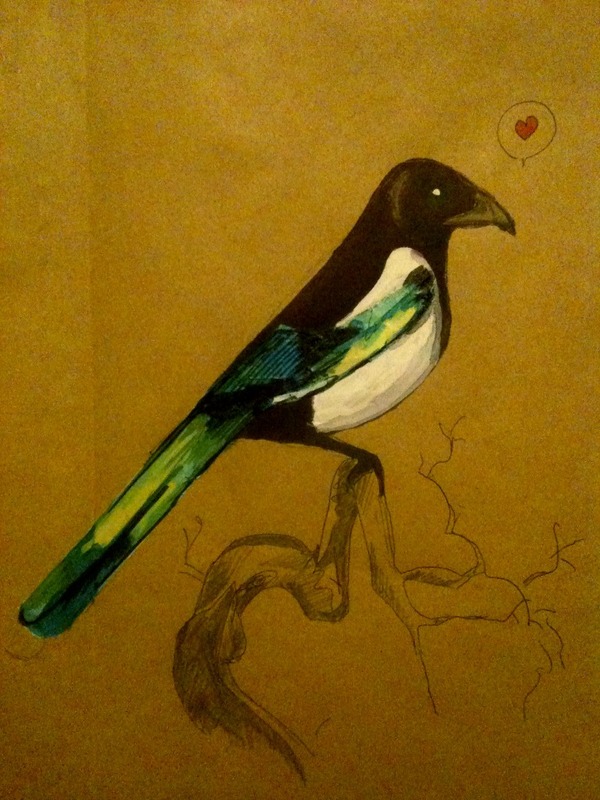 The magpie gets a pretty bad image in western culture, but in China it’s name means “bird of joy”. A year today since I began this blog! Happy blog-aversary!